Your technician was very accommodating. We Saw an immediate difference, I recommended trying Active if you’re thinking about hiring an exterminator. 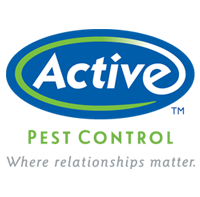 Active Pest Control came out and provided great consultation and first-class service. The results were immediate and I have already referred them to two people! Thank you so much! I am very pleased with Active's service. Every time I call they are right there to treat the problem. The techs continue to be courteous! This is one of my preferred vendors at home and at work. Always epitomize professionalism. I am very pleased with the service I receive from Active Pest Control. I really appreciate that they call you every month to let you know the day they are expected to come out and treat. If this is not good for you they will treat when it is convenient for you. I really like this. Since my house has been treated I have found no pest in my home. I highly recomend. The employee at Active was very professional and knowledgeable in his profession preventing termites infestation. I called and they came out the next day. The tech was professional and had great customer service. I’m happy because all of the people that I have had contact with have been professional but still down to earth. Very thorough, efficient, and courteous. What I like best is they sweep away all the spiders along with their webs all around our house and garage! Active Pest has been very attentive to our needs: responded quickly to wasp invasion, called to confirm access before every appointment, understanding when conflicts in scheduling arose. They have kept our termites at bay. They have eliminated mosquitos from our immediate property. Very pleased. Thank you. There were a few things that I called about, but they got resolved. So far I have been very pleased and comfortable with your service and your representatives ………. When they come out they look all over the inside and out have treated items and have got the issues that we had is totally gone. They did an excellent job; looking forward to a long term relationship. Great customer service and very polite, professional staff. Timely, professional and dedicated to meeting our needs. I recently got my house serviced for all kinds of bugs mostly spiders and I'm happy to say I'm satisfied with my services. Really great customer service and the gentleman that came out was therol. Only one visit so far so I’m waiting a few more times too see how active really works for us.. Excellent response to customer needs along with quality products. So far Active has been great!! Very attentive and show up when scheduled...👍. Very pleased with their services! Very professional. They take care of everything without my having to contact them or worry about making appointments. Great service but I wish you could call me along with email before you come because from time to time I'd like for you to come inside to treat too. Customer service is wonderful and I felt they did a great job on the first visit. We will see if the great work keeps up. I have had a great experience with the customer service representative and quick response time with any service call I've made to address issues I've encountered. Great service and the representative was very knowledgeable and was able to answer all questions sufficiently. I have never had any problems with the service rendered by Access Pest Control at all. Always a pleasant experience. The young man that comes to my house is very respectful,kind and does a excellent job . Need to be recognized for a promotion and always on time. Thanks for his service. I have been a happy Active customer since the early 1990’s. I am a Realtor & have recommended Active to my clients since 2000. They have always kept the termites & ants in check, coming as many times as needed to get it right. I now have their mosquito service & it is great! The techs are very knowledgeable & pleasant. They take the time to answer questions even before you know you have any! I recommend them highly! Excellent work,on-time and very professional. I would highly recommend their services.